A major new exhibition was unveiled today by Tate Britain depicting the decline of British industry, infrastructure and the welfare state. 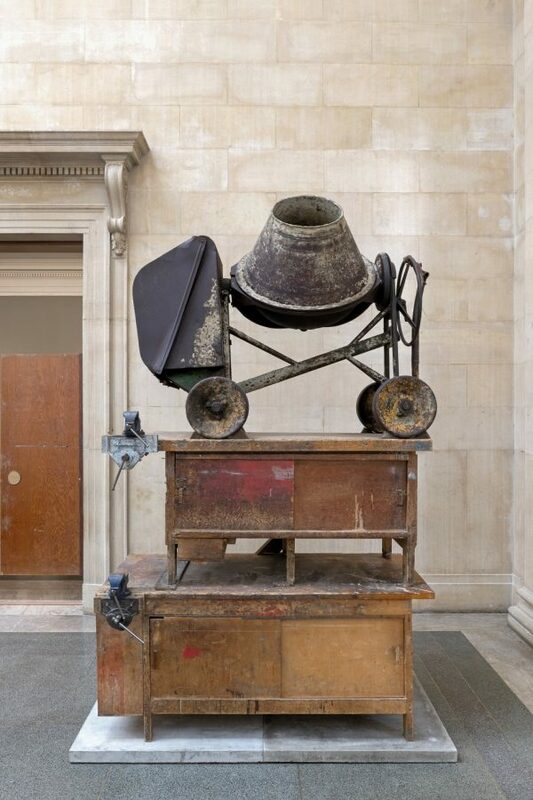 The Asset Strippers by Mike Nelson was created for the annual Tate Britain Commission, supported by Sotheby’s, which invites artists to create a new artwork in response to the grand space of the Duveen Galleries. 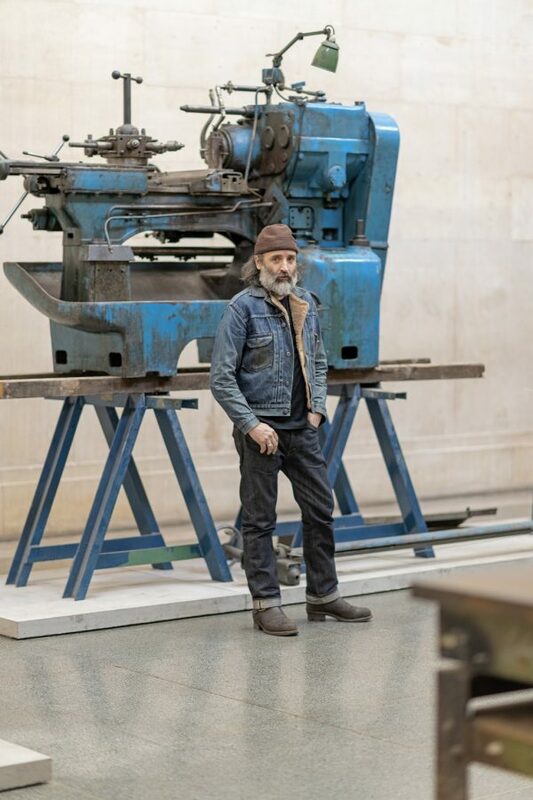 Mike Nelson has transformed the heart of Tate Britain into somewhere between a sculpture court and an asset strippers’ warehouse, carefully selecting objects from a past world, the post-war Britain that framed his childhood. He scoured online auctions of company liquidators and salvage yards to amass a collection of objects which point to the decline of British industry, infrastructure and the welfare state. Similar to the ancient artefacts displayed in museums, The Asset Strippers presents remnants from a bygone era: knitting machines from textile factories reminiscent of the ones he grew up around in the East Midlands, woodwork stripped from a former army barracks, graffitied steel awnings used to secure a condemned housing estate and doors from an NHS hospital. Nelson is interested in the cultural and social contexts behind the objects he has carefully selected, as well as their material qualities. 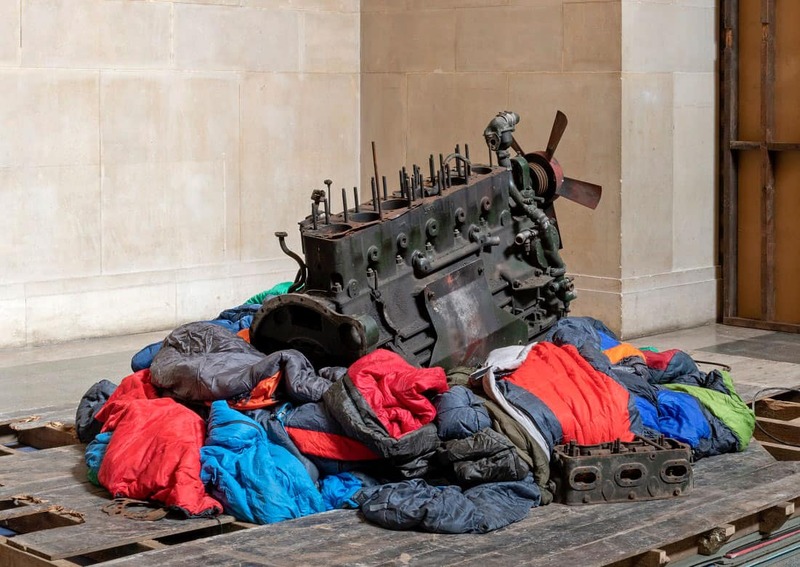 As the artist explains: “Their manipulation and arrangement subtly shifts them from what they once were into sculpture, and then back again to what they are – examples of the machines and equipment left over from industry and infrastructure. Mike Nelson: The Asset Strippers is curated by Clarrie Wallis, Senior Curator of Contemporary British Art, Tate, and Elsa Coustou, Curator of Contemporary British Art, Tate.